In a recent update, Star Trek Online added the ability to craft your own shuttle craft. 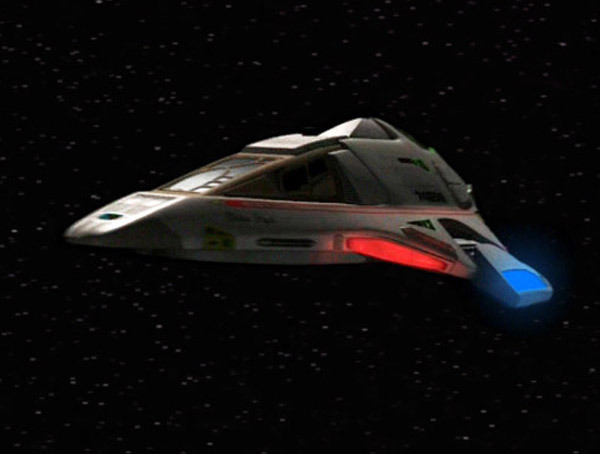 In the case of the Federation, it is the Delta Flyer. While I may not be a big fan of the ship, it was a little too good, I can't miss out on making my own. So, what does it take to build your own shuttle? The first prerequisite is that you have 180 general R&D points. I had about 20 when I started down the path. To get more, I made Hypospray's and shield charges. To gather the materials, I hit up Delta Varonis (the exploration area near Sol) and just looked for anomalies. After a few play sessions of this, I had my 180 points. Next, I hailed Naomi Wildman, who offered me the mission to create the Delta Flyer. In order to get the schematic, I will need to do 10 daily missions each of which requires me to scan 12 anomalies while using a shuttle. On the plus side, 120 anomalies will yield quite a bit of materials. The downside is that it is 120 anomalies! I'm in no rush, so I'll work on it a little bit at a time. I just can't resist missing out on a ship. The Delta Flyer is also available on the C-Store, but I'm not going to just buy it if it is obtainable in game.